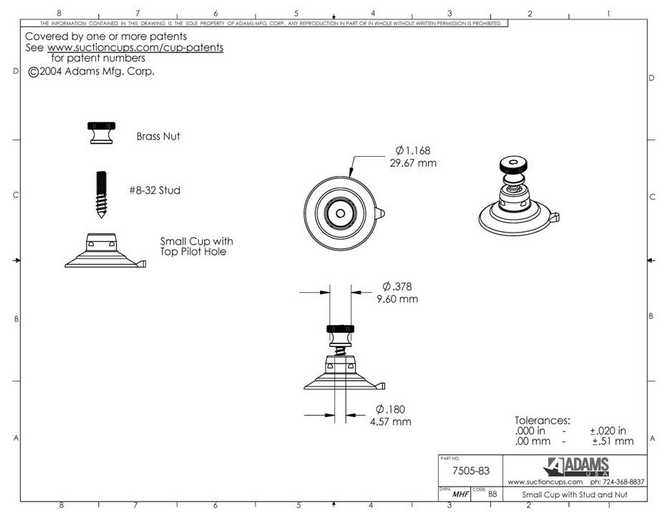 Adams 32mm suction cups are rated to hold 1 pound (0.45 kgs) each*. Fix to a clean, dry, slick/shiny non porous, non textured surface like glass, mirrors, glazed ceramic tiles, glossy plastic, car bodywork etc. 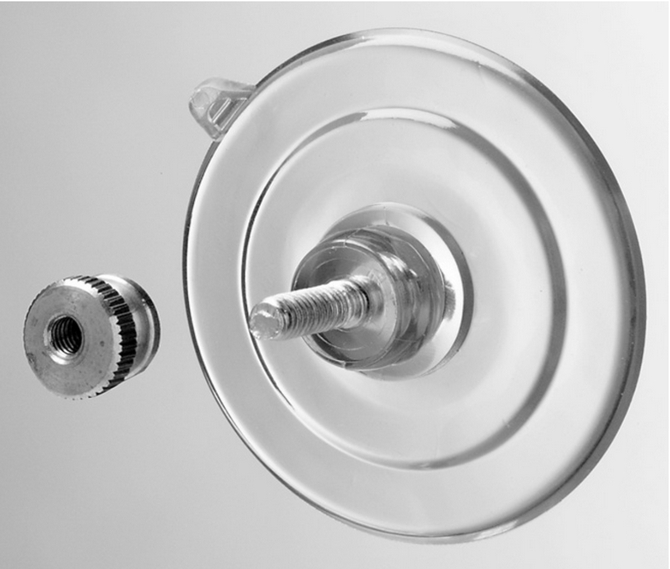 The steel screw stud is approx 4mm in diameter and protrudes out of the suction cup by approx. 10-12mm. When the brass nut is attached, there is approx. 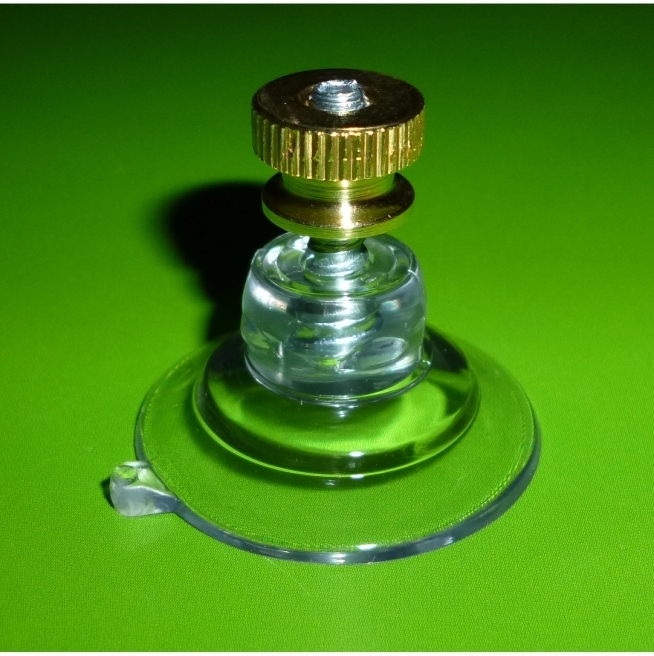 maximum 8mm gap between the bottom of the nut and the top of the suction cup neck due to a couple of turns required for the brass nut to bite. * See terms and conditions for push in/screw in products.